Lawyers tend to be skills averse. Consequently students in law schools sometimes, perhaps often, learn skills by a process akin to osmosis. They absorb some way of performing various tasks with law but without explicit or proper instruction. Their ensuing knowledge and understanding are implicit rather than explicit. This lessens their ability to learn law as students and to work with law as legal practitioners. This book aims to rectify this problem. It draws on work in a companion volume, which is entitled Legal Reasoning. This book explains the reasoning processes that lawyers should use when working with law if they wish their work to be effective and efficient. 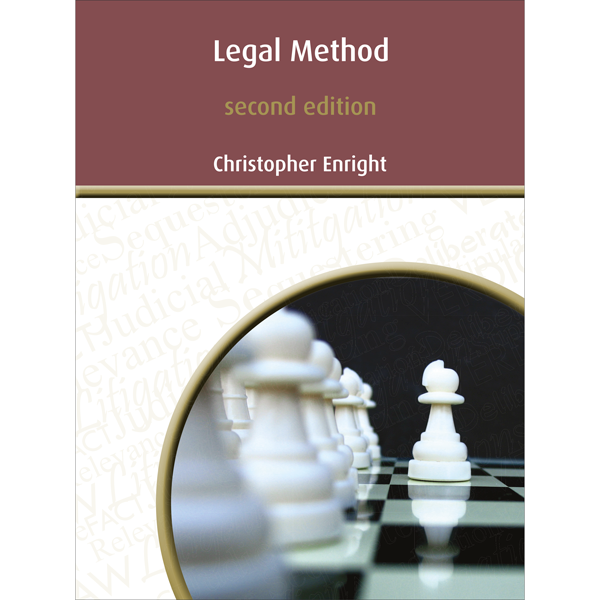 Legal Method describes methods for performing an array of tasks based on these methods of reasoning. These tasks consist of organising law, making law, interpreting law, using law in litigation and transactions [which includes the specific skills of applying law to facts and proving facts), writing law and reading law.